Manipal is known for its never ending rain.Heck,sorry and also for it’s educational institutions. 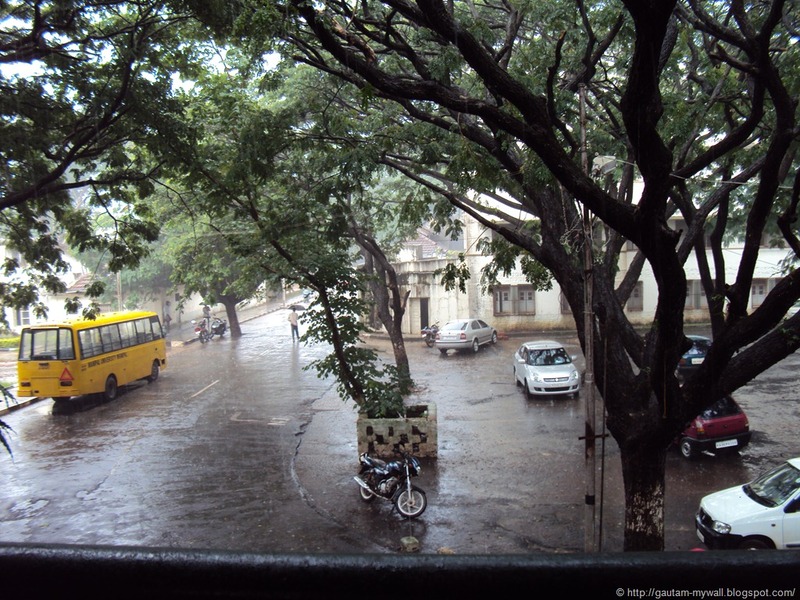 Manipal welcomes everyone with its wonderful rain as monsoon is the time of admission in Manipal University. I’m in love with this incessant rain which makes Manipal one of the most beautiful place I have ever seen.To me Manipal rain means the morning fog, Colorful umbrellas, greenery around the campus, cloudy end point,the hot steaming Coffee at CCD and lots of freshness. But one of the most difficult work is to wake up in a cloudy rainy morning for classes. You can imagine how much enthusiasm you need for that. But still Manipal Monsoon has something special which attracts me.